Please use the “Submit Your Resume” form to send your credentials to our Human Resources Department. Please note only resumes submitted for active job openings will receive a reply. We’re all about family at Ernst Conservation Seeds. After all, family is why we’re here. 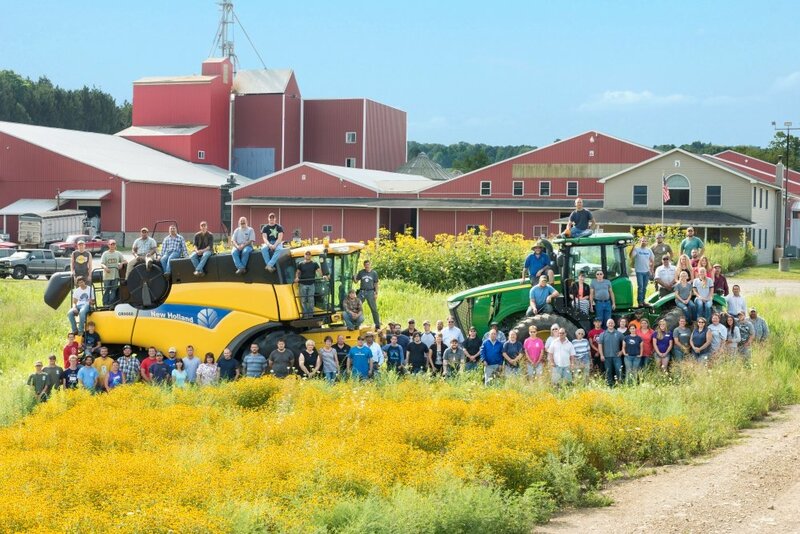 We’ve been a proud family-owned agribusiness for over 50 years. We get to know one another. We help each other out. We treat each other with respect, like family. Many of our people came to us as student summer help or other entry-level positions, and have been here for many years since. We recognize talent and drive, and we give our employees the opportunity to take on new responsibilities and grow professionally in their careers. Ernst Seeds offers talented people career-building opportunities. Most of our positions are full-time, and wages are based on qualifications and experience. Our benefits include medical insurance, vision insurance, simple IRA accounts, Christmas club, supplemental insurance options, sick time and paid vacation.